Would you love to spend your holiday writing computer codes, making animated movies or stories, become good at chess, making wealth from waste or learning how to communicate with hearing impaired persons? Plan to attend Keeping It Real Foundation Holiday Program 2017; where you will learn new skills and become more creative. 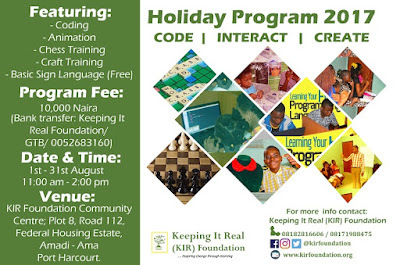 KIR Foundation Holiday Program 2017 is designed for young people from the age of 5 - 25 years. 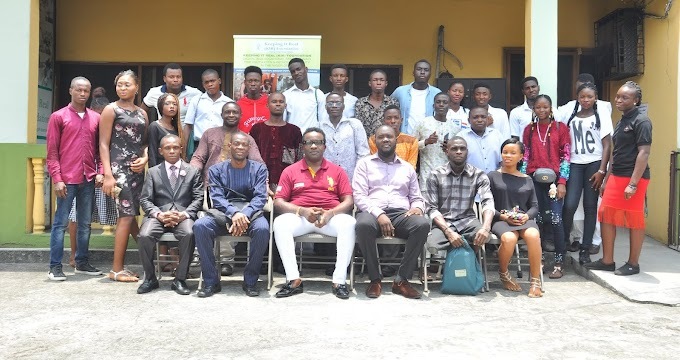 The Holiday Program features latest, leading and necessary skills needed to build the next generation of leaders such as Coding, Animation, Chess Training , Craft Training and Basic Sign Language. Hurry up now ! Register and Be a part of this program.